A lift that takes you up to the basilica dome for panoramas of Brussels. You won't find a better photograph of Brussels than from up here. Museum of the Black Sisters: the museum belongs the Black sisters sect, and showcases their art and artefacts, such as furniture and paintings and lace. Also, visit the popular attractions in the city by following Brussels itinerary 3 days. Panorama tickets are bought by card only, no cash. How popular is Basilica Of The Sacred Heart? People normally club together Palais De Justice and Parc De Bruxelles- National Day Celebration while planning their visit to Basilica Of The Sacred Heart. 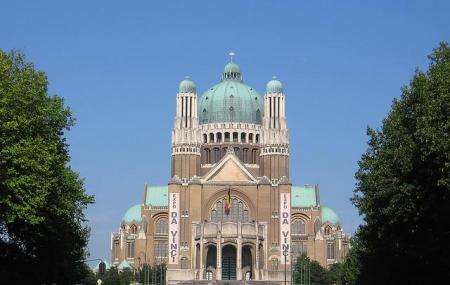 People also prefer to start their day with Basilica Of The Sacred Heart.